¡Hi! This time I present an article that I wrote about a very beautiful ecotourism project to develop this region of the country. 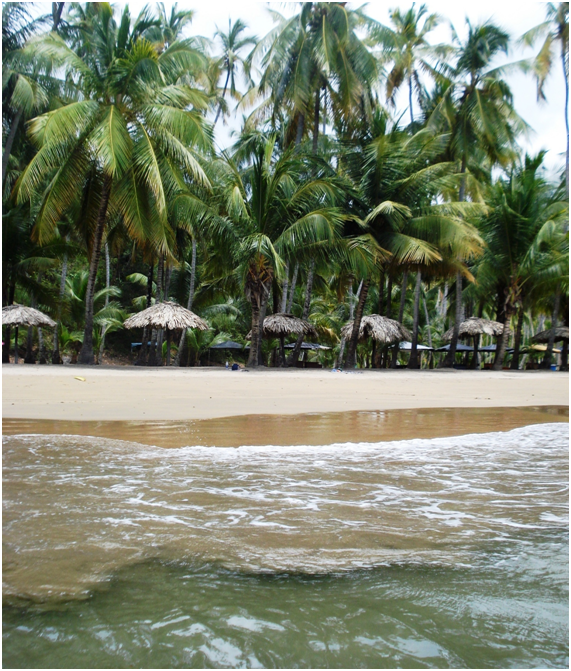 Virtues such as its exuberant nature, diversity of beaches, an extensive mountainous region ideal for excursions, the cocoa produced in its lands, colorful villages and friendly people, make of the peninsula of Paria, located in the state of Sucre, an ideal setting for its name, Costa Verde (Green Coast). This project will improve the tour of the area, from Río Caribe to San Juan de Las Galdonas and promises to become a great alternative for sustainable development in the region. 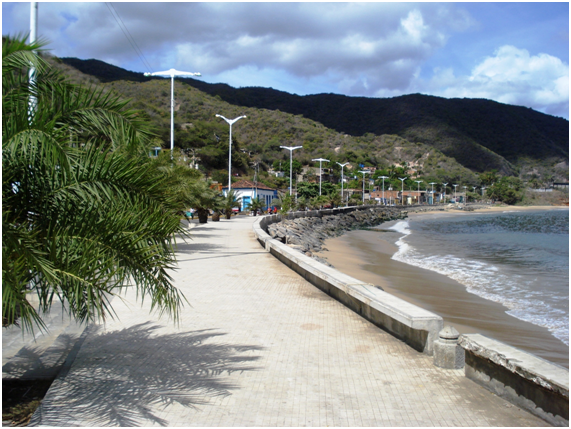 In the tourism sector “Costa Verde means transport to coastal areas with beautiful beaches, large tracts of protected green space, few inhabitants, and villages where buildings do not exceed two stories. This setting allows tourism to flourish in harmony with nature and at the same time achieve improvements in the standard of living of the settlers. 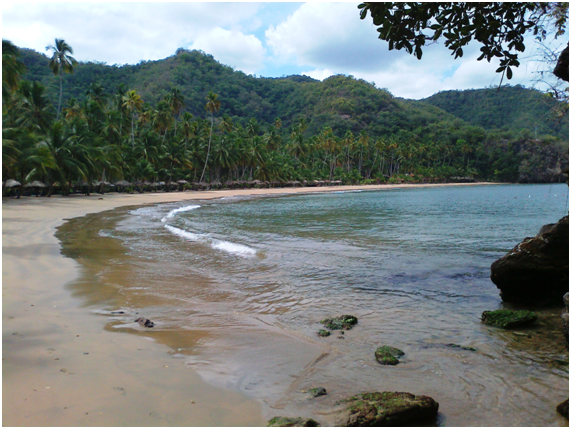 The Paria peninsula has all these characteristics and that is why the communities of the region, organized in five communal councils, with the support of the Sucre state government, the mayor’s office and tourist companies, presented a project to the Ministry of the People's Power for Tourism (Mintur). The objective is to promote the sustainable development of the sector through two practical instruments: the designation of Paria as “Green Coast” and the creation of a tourist corridor to enjoy it. It all starts in Río Caribe, a beautiful town with picturesque colonial style houses, a fishermen’s market at the end of the boardwalk, squares, hotels, inns, restaurants, the Cristo Rey lookout and several beaches to visit. 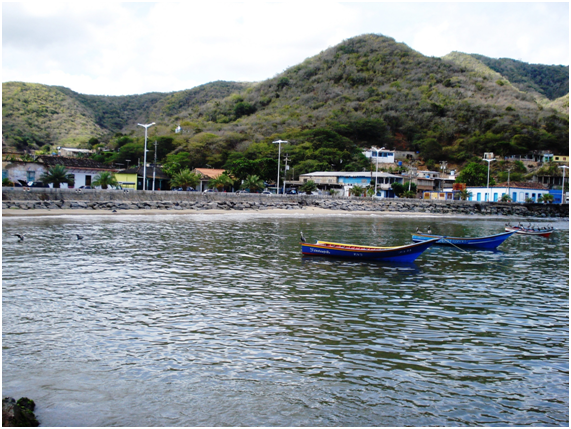 From there, the Costa Verde de Paria project proposes to showcase a diversity of fishing and agricultural towns such as: Nivaldo, Chaguarama de Loero, Medina, Chaguarama de Sotillo, Puipuy, Cangua, among others, until arriving at San Juan de las Galdonas. The first phase of the Tourist Corridor of the Green Coast of Paria goes from the Caribbean River to Puipuy, a stretch that exists and is only a few kilometers away by paving between Nivaldo and Playa Medina. In this first stage are located the main current and future developments, such as Villas Playa de Uva, Playas Nivaldo and Nivaldito, Posada Playa Medina, Estancia Mapurite, Hotel Playa Chaguaramas and Posada Playa Puipuy, as well as other small accommodations. 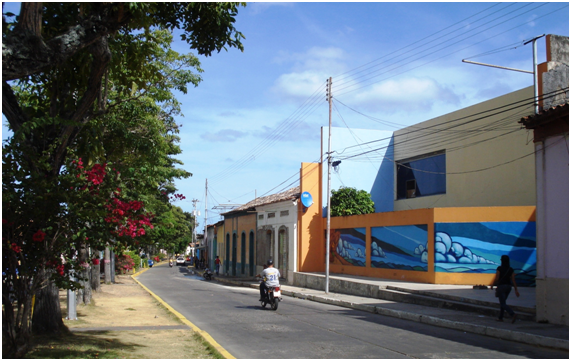 The coastal road will pass through Chaguarama de Loero (way of the Gardens) and will go from Nivaldo to Playa Medina, then to Chaguarama de Sotillo and Puipuy, where with the opening of a short stretch between Puipuy and Cangua, it will connect with the road to San Juan de las Galdonas. All these works will significantly reduce the distance and time of travel. 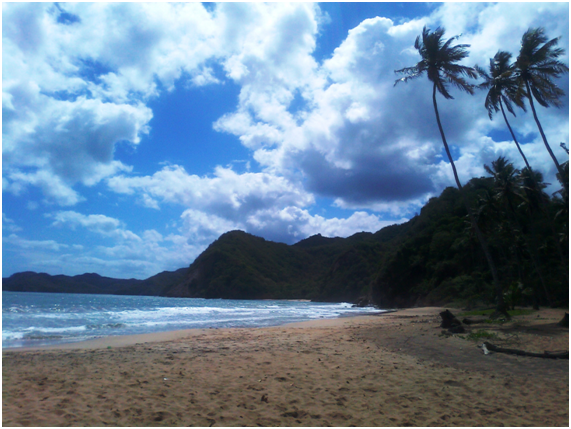 The conclusion of this coastal road between the Río Caribe and San Juan de las Galdonas, is the vital point of the development axis of the north of Paria. It is planned according to the concept of sustainable tourism, integrating natural beauty and excellence in services and benefiting the communities surrounding the projects. Additionally, with the upgrading of Carúpano Airport, a city near the Caribbean River, the connections will be national and international. 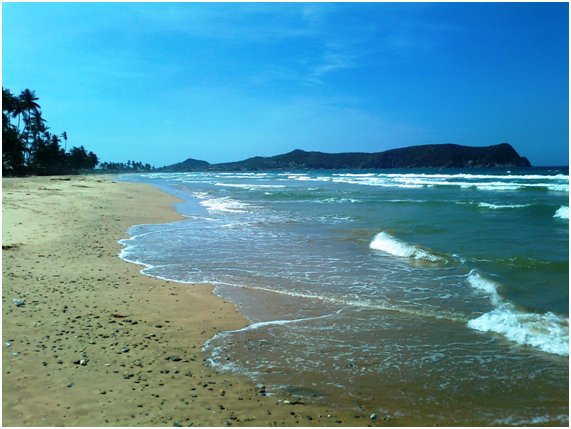 Likewise, there are alternatives of maritime connection with Isla Margarita, Nueva Esparta state. The Paria Peninsula National Park was declared as such on December 12, 1978, to protect the peculiar mountainous area of this space, which has flora and fauna with characteristics of the Amazon rainforest and Venezuelan Guiana. It has a surface area of 37,500 hectares with a maximum altitude of 1371 MASL. The green turtles come to nest in the coasts of Paria.